Sing 'Happy Birthday' for flu free hands?! The trick to flu free hands? Singing "Happy Birthday" while washing them. Experts say one of the best ways from catching the flu bug is to sing "Happy Birthday" twice while washing your hands. The timing of singing the song twice is enough to remove any germs on your hands. 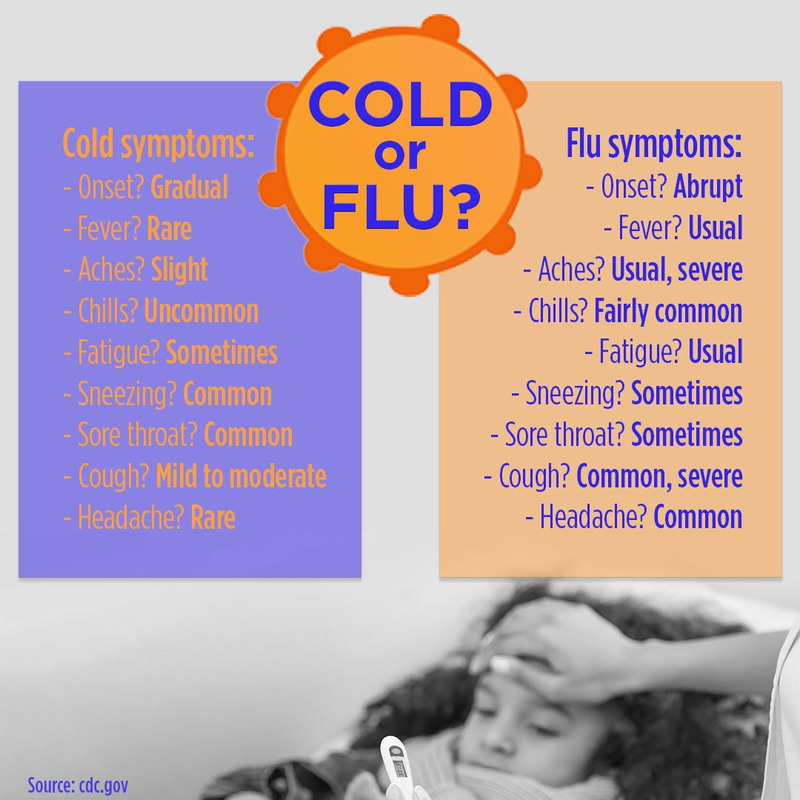 While a cold and the flu do share some of the same symptoms including a sore throat, runny nose and headache, the differences are significant. Extreme fatigue and high fever are textbook markers of the flu.